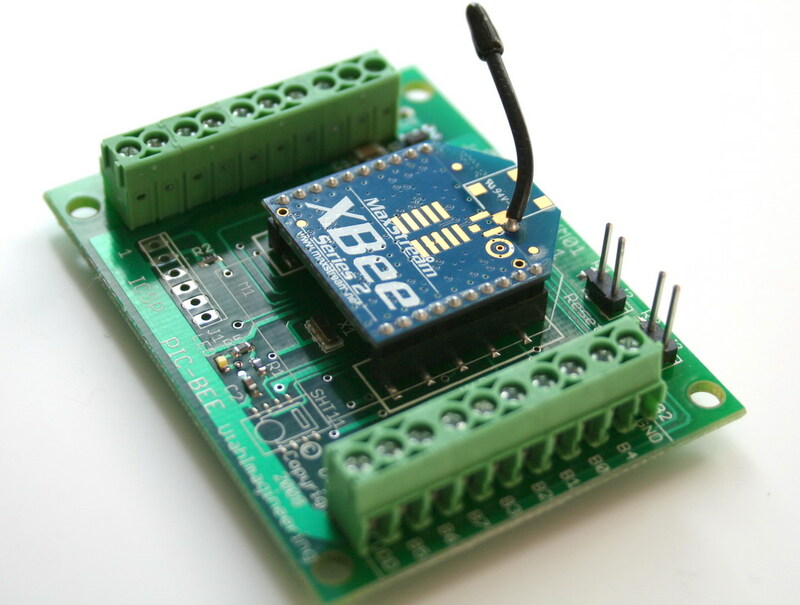 The simple yet powerful interface for the XBee radio! The PIC-BEE is the first XBee adapter and interface board that embeds a command interface using simple ASCII commands to monitor and control up to five analog inputs and a combination of up to 13 digital I/O points. Terminal blocks on each edge provide the interface for input power (4-12VDC), 3.3VDC and grounds for analog and digital interfacing (analog range is limited to 0 - 3.3VDC). The PICBEE can be used as an interface to the XBee radios or as a stand alone target. Adding the connections for the serial interface provides access to the PIC's internal UART. Custom firmware for your particular application creates a powerfull yet compact solution to many applications. 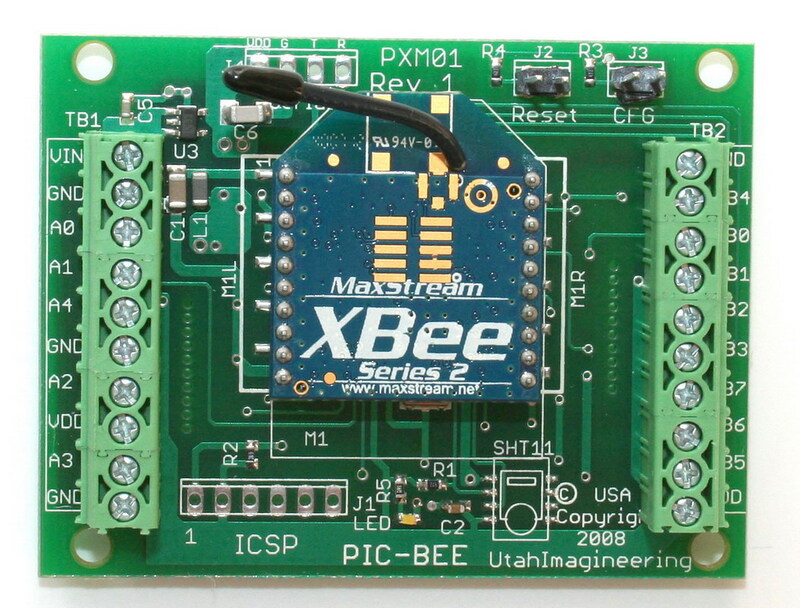 Finally an easy method to use the Maxstream XBEE module coupled with the power of the Microchip PIC 18F series micro-controller. As a stand alone board, it can be a development platform or target device for nearly any application. The PIC-BEE implements a nanowatt PIC controller with a socket allowing the XBEE module to plug right in. 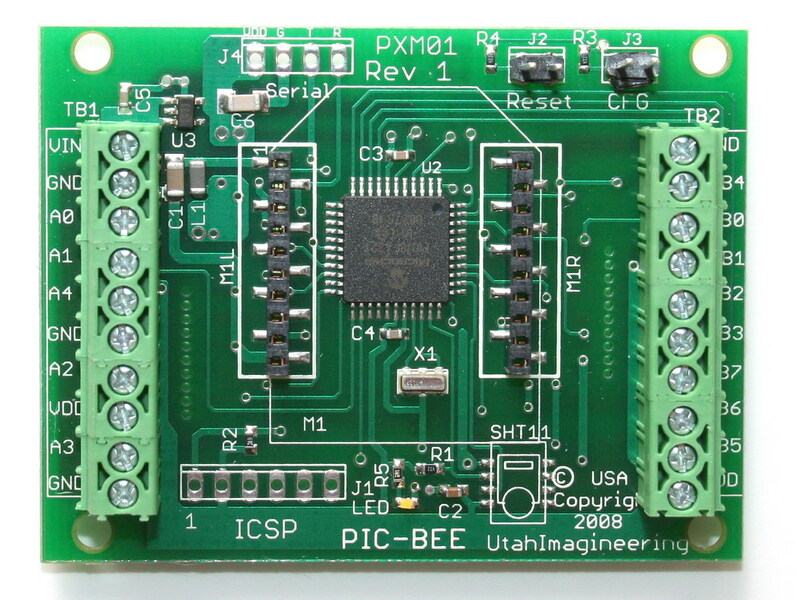 A programming interface (PICKIT2/3) is included for programming the PIC micro controller with your own firmware, and includes pads for a TTL serial interface to monitor data between the PIC and the XBee, or interfacing directly to the processor. 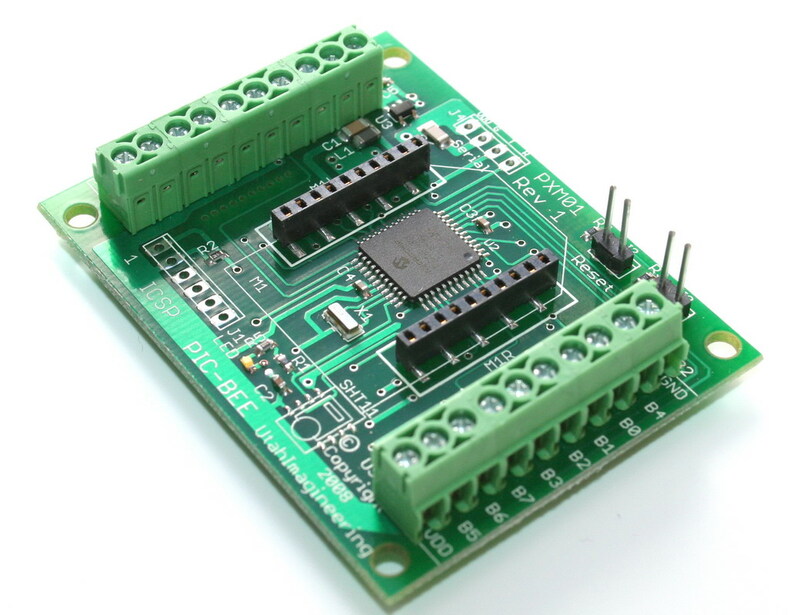 This makes it an ideal stand alone controller for nearly any project or application. 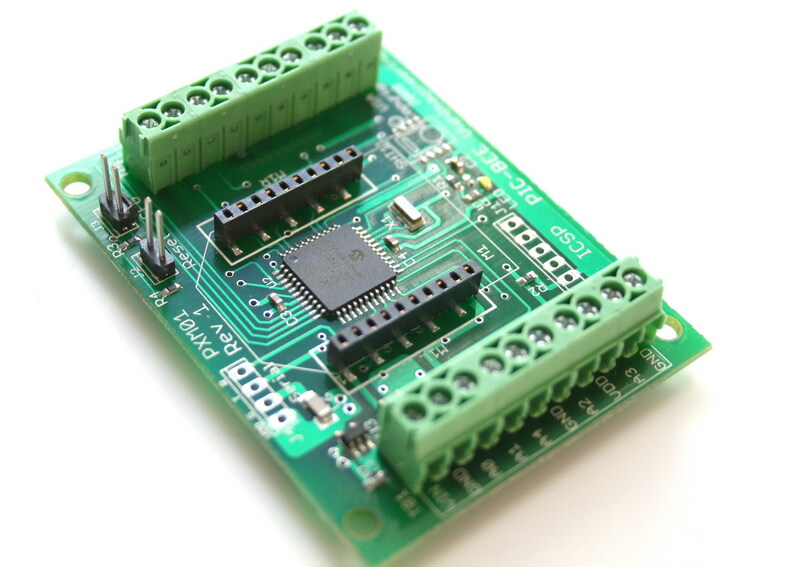 The firmware provided uses a simple set of ASCII commands provides you with an out of the box solution to monitor digital inputs, analog inputs and be able to control devices remotely, all configurable over the serial RF link. Built in timers allow you to either place the processor in sleep and wake when the Xbee is sent a command, or have the processor periodically read the data ports and report back the status. Down each side of the board are screw terminal blocks, giving access to the I/O of the PIC processor - 8 bits of digital I/O, field configurable for either input or output so the user can mix and match for the particular requirements. In addition there are 5 bits of analog inputs that can be also configured for digital inputs. All configurable over the Zigbee link. Power to the module is provided via the terminal block, 4V to 12VDC input range with on board voltage regulation providing the necessary power to the controller and XBee module. 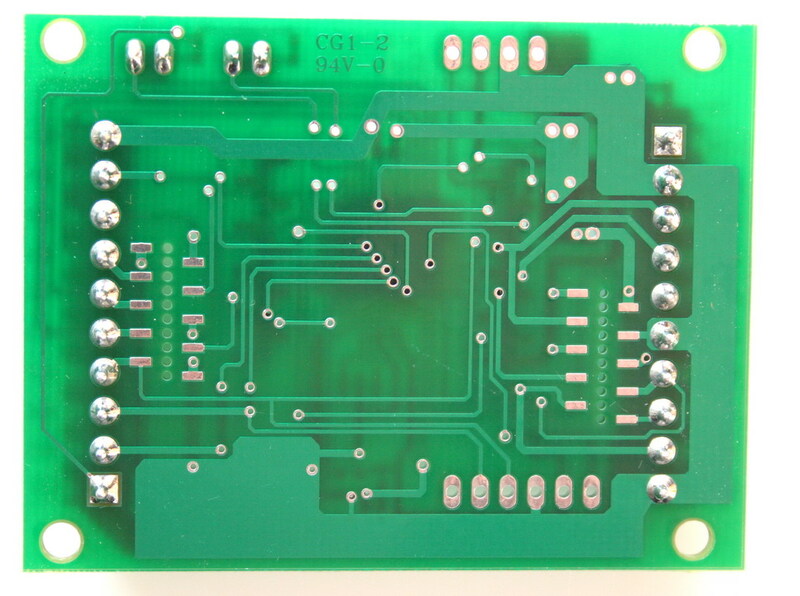 On the back side of the board are pads for expansion connectors that give access to the same digital and analog I/O that are available on the top side with additional I2C/SPI communications from the micro controller. This allows for a daughter board to be mounted that can provide power, communications or other custom requirements. Need something different or unique? Just contact us and we can design what you need, including the firmware to run the whole thing. � Small size only 2.5" x 2"
� No code required ! Fully functional command interface embedded in the processor.